Accompanying Otero were Suzanna Epps, Balearia Caribbean; Spencer Mallory, consultant, Balearia; and Ann Knowles, a local manager for Balearia. 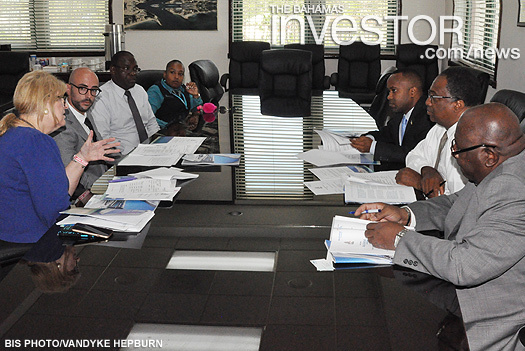 They met with Thompson along with permanent secretary, Melvin Seymour and senior under secretary, Harcourt Brown. Balearia is a fast ferry service that transports thousands of passengers between Fort Lauderdale, Florida and Freeport, Grand Bahama daily, except Wednesdays. The Bahamas was recently presented the 2016 Caribbean Sapphire Pegasus Business Aviation Award for Outstanding Country Promotion, the first award of its kind for the region.